Surrey House Cleaning provides commercial and residential maid services for clients throughout the lower mainland and the surrounding areas. With maid services from Surrey House Cleaning, you'll return to more than just a clean home. Our maid services to our clients are as individual as they are. Our maid services can tackle any and all of your cleaning needs, from specialized spaces to entire homes. Surrey House Cleaning is designed to be affordable, efficient and spotless. Small office cleaning: Your office can get very dusty without you even realizing it. Our customers are often shocked at the difference our services make at their offices. Most people with such issues contact a maid service or another source to find themselves a professional to look after their house. From our initial FREE in-home cleaning consultation to the end of the house cleaning service itself, Surrey House Cleaning ensures your individual cleaning needs are met. You can totally relax knowing Surrey House Cleaning is cleaning your home just as you want it. From the initial FREE in-home cleaning consultation to the end of the house cleaning itself, Surrey Maid services ensures your cleaning needs are met..
Before joining the Surrey House Cleaning family, each maid is trained to become an expert in the detailed, customized maid services we provide. Our customized cleaning services are designed to meet your individual needs whether you choose regular house cleaning services or occasional cleaning such as move-in or move-out services. At Surrey House Cleaning we believe a house cleaning service should always meet your needs and accommodate your budget. Each maid receives the best training to ensure every Surrey House Cleaning maid provides the same thorough cleaning for our customers. 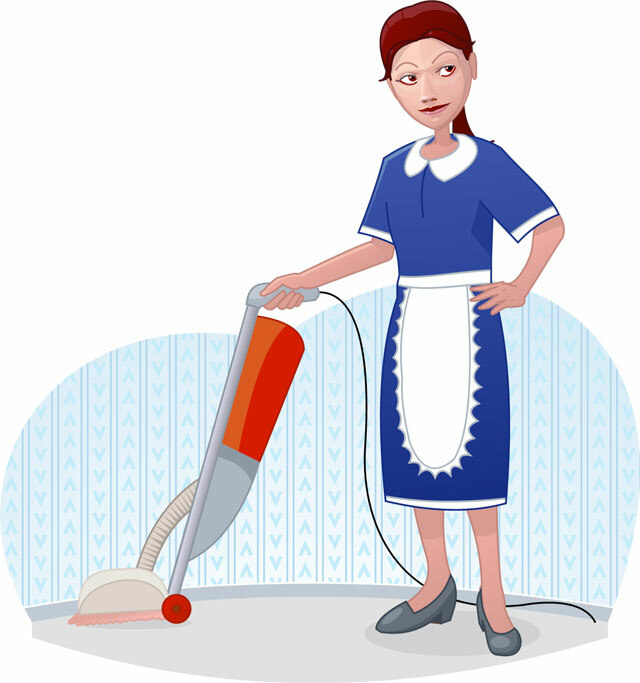 Most importantly, you can trust the maid service from Surrey House Cleaning. We fully understand your need for complete honesty before entrusting a maid or maid service with the keys to your home for a house cleaning. We meet a wide range of cleaning and janitorial needs in the Vancouver area: house and office cleaning, housekeeping and maid services. We service all areas in the Fraser Valley, including Surrey, Langley, White Rock, Delta, and Abbotsford. In Vancouver there many types of Maid services available at your doorstep. We also provide the option to re-book the same cleaner for recurring maid services. When considering a maid service to take care of all your cleaning needs and provide peace of mind, make sure you choose Surrey House Cleaning. Exact start & finish times for your cleaning services are written in by your home cleaner on a copy of the Work Order, and left for you each session. When hiring a cleaning service you need to evaluate your cleaning supplies, and if you are not prepared look for a company that is. Surrey House Cleaning provides all eco-friendly and green products that they will use at their clients' homes. Hiring an experienced maid service will ensure that your office will be cleaned correctly, which is important to keep employees healthy. Our maid service and estimate form lists in detail all of the most requested services, but you can add to, and customize, your cleaning services in any way you wish. Whether you want a house cleaning in Surrey or maid service in Burnaby, just call us for all your area cleaning needs. Contact Surrey House Cleaning today to inquire about a quote for your home, office, or other cleaning job. Monthly and occasional clients can request the same maid if maid is available.